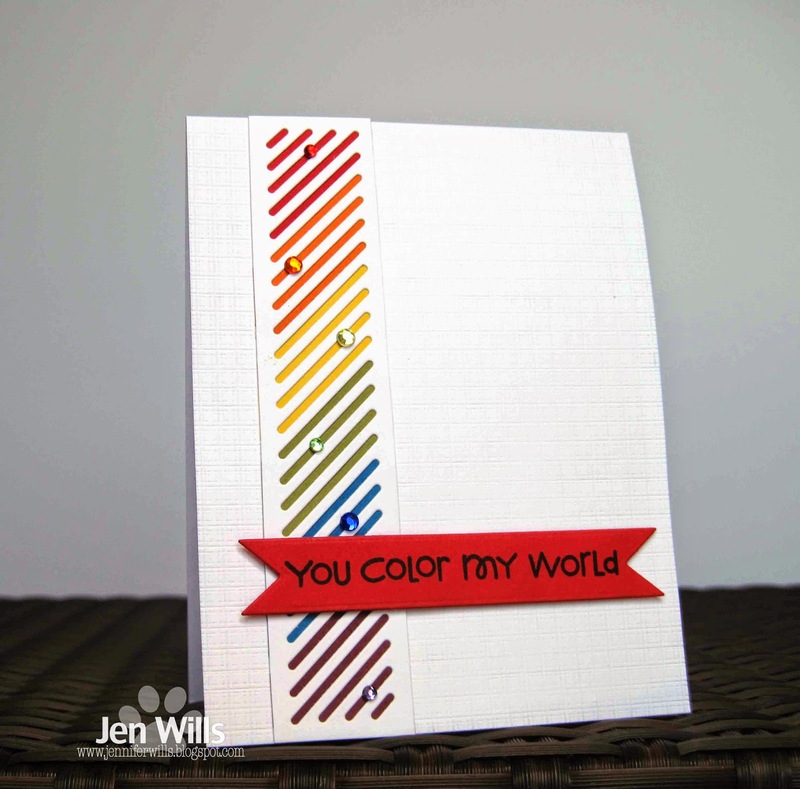 That is a great die Jen...love the rainbow of colors and the little sprinkling of sparkly gems. Wow that die rocks Jen. Love the colours!! VERY nice rainbow. It works well with the air-vent die. Nice canvas texture on the bg too! Love the air vent, Jen. It works great for the challenge. Super fab 'rainbow' air vent idea Jen! The rainbow behind the strip looks fantastic Jen! Thanks for playing along with us at The Cutting Edge Challenge! Red is always the best colour to add more of. 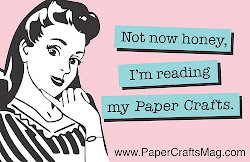 :) And I love how you used the vent die -- I never have figured out a way to use it that I like. Great card! You had me at die cut and rainbow, lol! Love it! Girl, this is AMAZEBALLS!! I so love that stripey rainbow - it's a brilliant take on the inspiration photo! Thanks so much for playing with us at the Cutting Edge Challenge - we're so glad you did! I adore the the rainbow colors in this, Jen! AWESOME and CREATIVE! 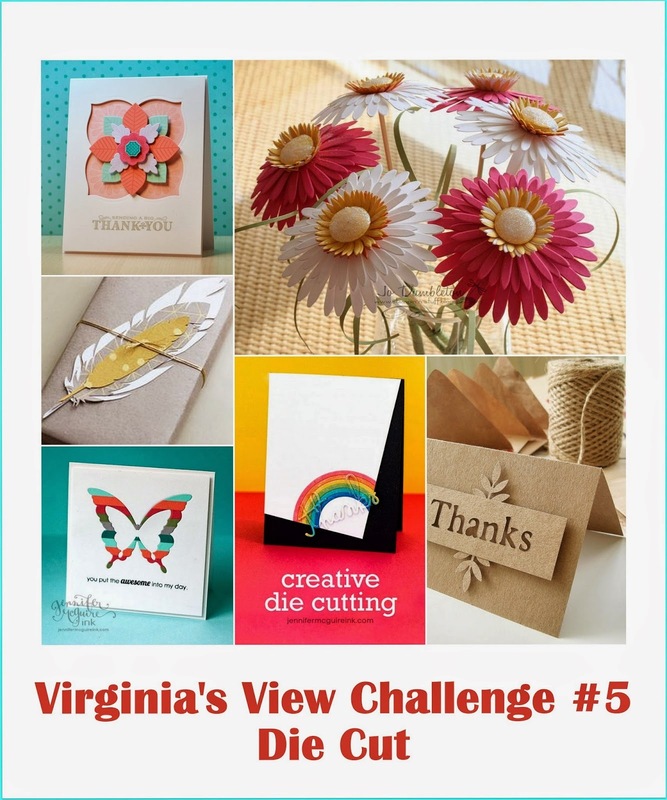 So glad that you join the fun over Virginia's View Challenge!